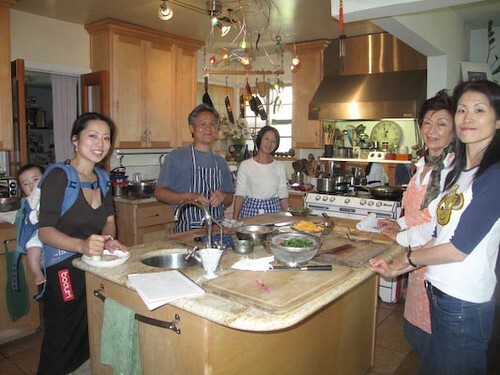 Today's cooking class' dishes were Tempeh sweet dish, cabbage and turnip pressed salad, brown rice with wild rice, seasonal vegetable dish and corn chowder. 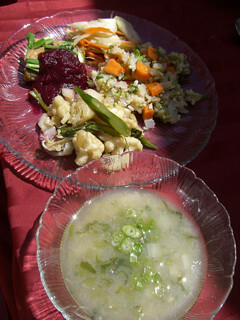 I especially enjoyed the corn chowder, such a seasonal delight! We had even baby in the class and we all enjoyed. 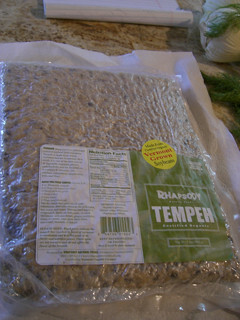 One of students, Minerva brought grate tempeh of Rhapsody natural foods from Vermont. 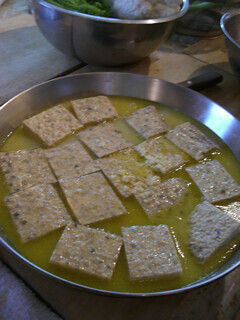 This Rhapsody is owned by people who study macrobiotics and we were all exciteed to cook this tempeh. Oh, wow, it was sooooo good and we enjoyed so much. We wish you could taste it so please enjoy with your eyes!!!! !